Diego Marani is a translator and newspaper columnist ,he worked for the council of europe as a translator at this time he invented a language called europanto a joke language poking fun at the euro in workings .This is his first novel to be translated into english and has taken a number of years to translate .This book was suggested as a book I should read at the IFFP by Nick Lezard of the guardian and I wish I d picked it up sooner as it is one of the truly great books in translations this year . Doctor Friari’s eyes were the first living thing I saw emerging out of nothingness. Now on the surface this book can be compared to Ondaatje’s English patient as the kernel that the story is from is similar a man is found in this case on a beach in italy his personnel effects leads to the belief he is Finnish ,although he can’t talk and has had some horrific injuries ,now this is where the similarities with English patient end as the English patient spins of to a death and love story ,this story spins of in another direction .That direction is language and citizenship ,does how you are make you what you are ? Is this man finnish ? as these questions are answered you discover that Finnish is a hard language to learn but also to relearn in the case of Sampo as the man becomes known due to a name on a jacket ,and that it’s a Finnish name .He is helped in Italy where he is found ,by a Finnish doctor Friari who helps him recover and relearn or learn Finnish ,we are not sure who this man is as he is not sure who he is .The book springs the idea that in some ways in the chaos of war we can be reborn as someone else . fire ! iron and fire ! These are the only things that count in war ! You whose name is Sampo – did you know that you are born of fire ? 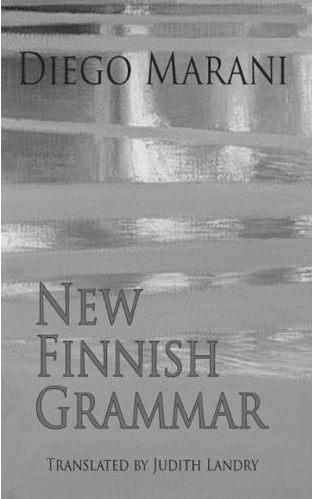 Sampo is a sacred word for the Finns ; the whole of the Kalevala revolves around it . Sampo learns about his name and a Finnish epic . As for Finland which Sampo returns to we learn about its national treasure a long poem called Kalevala this work is central to Finnish identity as it was used in the breakaway from Russia in 1917 ,which also counters the current time when Sampo is in Finland as the war nears its end , when they are trying to stop Russia overrunning them again .We also see the doctor return and to try to find out what happened to his patient .Now this book is complex and is one of those books that you never want to end as you are drawn into the world and feel Sampo struggles with who he is and really want to find via his quest who he is or who he was .I also found this book is maybe like being a baby and with a clean slate how do you learn a language is it there in you or is it taught the old nature versus nurture debate ,can a brain be wired to learn a complex language from the start or is the wiring laid as we learn ? .The book is a masterpiece and unique ,since it was published Marani has written five more novels I for one am now waiting to see what this wonderful writer has written next .He deserves to sit amongst the greats of modern Italian literature Eco and Calvino . This one is sitting on my stack of TBR books. I hope to get to it mid-month! I also found this book is maybe like being a baby and with a clean slate how do you learn a language is it there in you or is it taught the old nature versus nurture debate ,can a brain be wired to learn a complex language from the start or is the wiring laid as we learn ? It sounds like my kind of book! I’m very pleased to hear about this one – it looks just up my street and I will look it up. I received the Argentinian book above also but couldn’t get into it somehow and had to set it to one side. Have a great new year’s blogging – your plans described in the previous post look very good. I own a copy of this and am really excited about it. A masterpiece Stu? Strong words but not the first time I’ve heard that said. I’ve added to my wishlist with such strong endorsement from you I simply have to read it. I don’t get to read much contemporary European fiction so thanks.